Improving Insulation is one of the most cost effective home upgrades a homeowner can make. Even homes that are already insulated may benefit from an insulation upgrade. 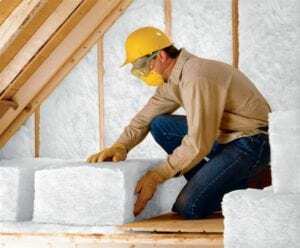 Studies show that a large percentage of today’s existing homes have insulation that has settled over time, thus creating air gaps that reduce insulation effectiveness (R-value). Also, the insulation may have simply been improperly installed during construction. Insulation Removal is an important part of any retrofit insulation or remodeling project. We can handle not only the installation but also the removal of your existing thermal insulation. Attic Space Insulation can be done with blown (loose-fill) insulation. Increasing the depth of insulation in the attic space increases the R-value of the insulation. Basement or Crawl Space Insulation is done with fiberglass batt or basement roll insulation, sometimes called “basement blanket”. In most counties, code calls for either the exterior walls or ceiling to be insulated. For remodels, drill & fill and foam sealing may also be options. Our energy consultants will be happy to discuss your options when they provide you an estimate. SPIDER™ by Johns Manville© offers the industry’s best coverage, fastest drying time and highest R-values. SPIDER™ is lightweight fiberglass spray-in insulation bound together with a non-toxic, water-soluble adhesive that also binds to cavity surface for gap-free coverage.